" a complete police state as of 11:30pm on 9/24/15"
Past that moment now, thank goodness. D-- is a frequent poster on another forum, and I thought you might want to read the back and forth between him and O--. 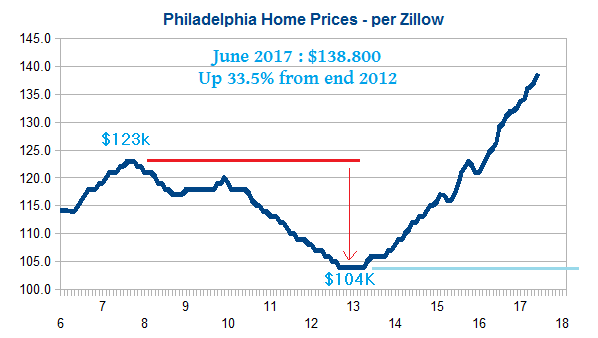 This goes into a reason why the yields are still so high - (ie prices so low) - in Philly. Another reason might be that a portion of the cash flow return is actually a return OF capital, since the property may require another rehab in X years. That seems invisible now, because prices are rising. What can one determine what the "X" (# of years) might be? I don't know. How can guarantee a 3-year, 11% pre-tax yield? It doesn't make much sense. Why would anybody rent, if they can pay 1/3 of their house in 3 years, by buying with a mortgage. It means in 9 years you bought your house. That's too good to be true. In addition, this company can't even make a website without spelling and grammar mistakes. I don't buy it (in all senses). And what is it post-tax? I believe in many places in the US taxes are quite high. I own a property there. It was originally build in 1925, and rehabbed last year after I bought it in July 2015.. I paid about $75,000 - and it was rented recently at $1,050 per month. That's $1,050 x 12 = $12,600 / $75,000 = 16.8% Gross Rent. The tenants are a professional couple working in the Center City (based on their jobs). From the house they can walk 2 minutes and get on a trolley that will take them to the CC in about 20 minutes. So they must be happy to get a spacious house (1,360 sf) that is considerably cheaper than a smaller Condo in the CC. Why don't they buy the property, or one like it ? 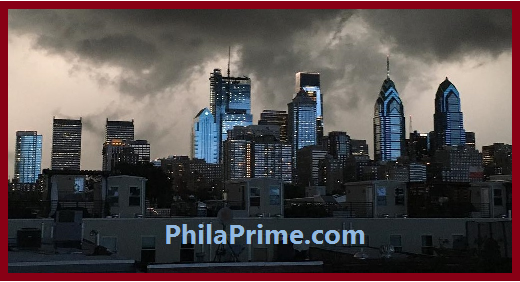 Confidence in property was ruined by the slump of many decades going back to the 1950-1960's, when the population of Philly began to decline. It was only about 2000 that the population started to rise again. People are buying again. And buying started years ago in the areas that are walking distance from the CC. Prices have risen there, and the gentrification is spreading out from the core areas towards where I bought, (see the summary of the magazine article above) The question and the risk is this - will the wave of gentrification continue, and how long will it take for that core of buyers to march towards my property and pay a much higher price. (BTW, I think I was very lucky to get such a big jump in valuations in such a short time. You may ask: How realistic are those estimates? I saw a property from the same source two months ago that I wanted to buy. In the end I did not buy it, because I had not yet had confirmation that the rehab was acceptable and the property was rented. + One of America's most walkable cities, with a good public transport system. + key strategic location on the East Coast, and good universities and strong healthcare expertise. + much property is far more affordable than NYC, Boston, Washington; Yields are much better, like 2x, on average. Now with steady job growth and a rising population and job growth, Rents and Property prices are rising again, hitting new highs. Gentrification is occurring along many of the transport links. Philadelphia price breakout continues... Making new highs. 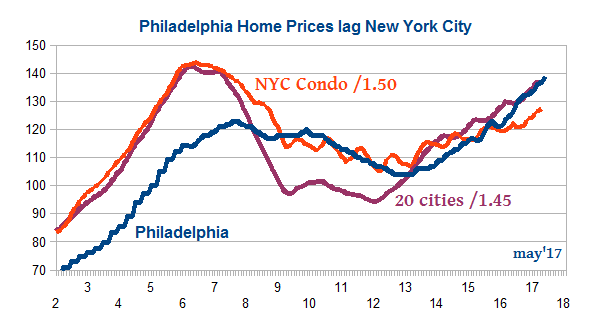 Predicted early 2016.
mo Ph-Zhv : YoYr : Nyc_Zhc: YoYr : 20cityI : YoYr : condo: C-NYC : C-Nyc2: C-Wash C-Bost. 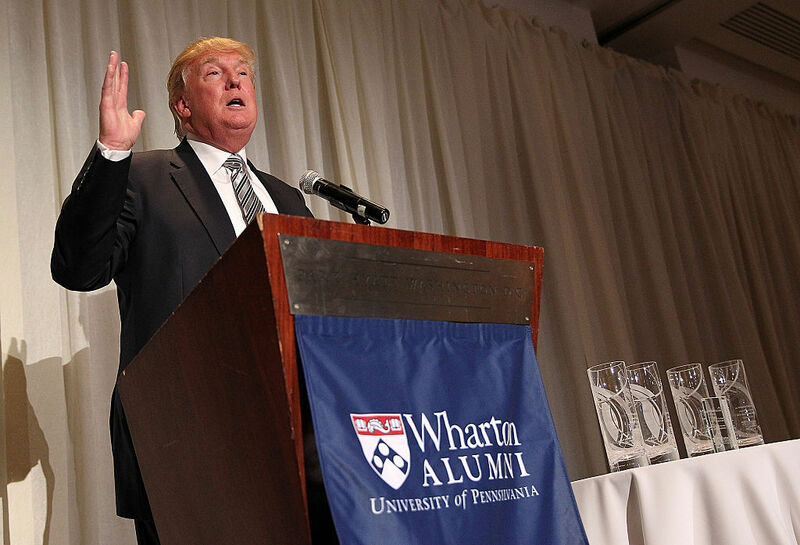 Donald Trump’s Closing Argument: Reactivate The Philadelphia Navy Yard! Republican presidential candidate Donald Trump made his closing pitch in a series of campaign stops last night, one of which was the city of Scranton, Pennsylvania. If you were listening closely (disclosure: I was), one new line stood out like a beacon of new light among the now-familiar roll call of complaints about his Democratic opponent, the media, and war refugees. If you guessed that line was “reactivate the Philadelphia Navy Yard!” run right out, buy yourself a cigar, and smoke it down to ash while trying to figure out what he really meant.